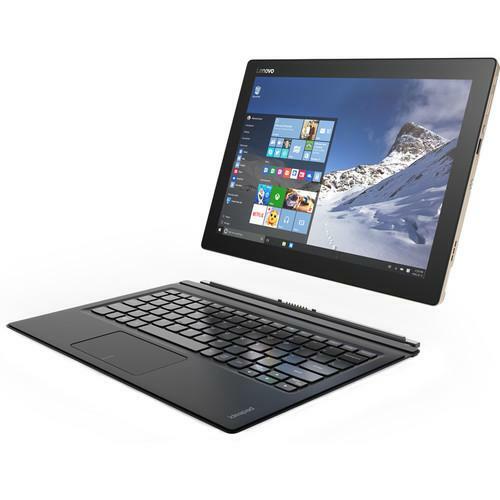 We recommend checking out our discussion threads on the Lenovo 12" IdeaPad Miix 700 Multi-Touch Tablet 80QL0008US, which address similar problems with connecting and setting up 2 in 1 Laptops Lenovo. The user manual for the Lenovo 12" IdeaPad Miix 700 Multi-Touch Tablet 80QL0008US provides necessary instructions for the proper use of the product Computers & Solutions - Laptops - 2 in 1 Laptops. Featuring a unique tri-mode design, the 12" IdeaPad Miix 700 Multi-Touch Tablet with Keyboard from Lenovo is a system with a detachable screen that can be repositioned to vary between laptop, stand, and tablet modes. If you are working on tasks that require the keyboard, such as creating Word documents or editing a spreadsheet, the Miix 700 is best used in classic laptop mode to help increase productivity. However, if your primary focus is on touch applications, web chatting, or watching video content, the screen can then be flipped into stand mode or detached and used in tablet mode. This will help maximize ease of use with the built-in 10-point multi-touch control. The Miix 700 is powered by a 1.1 GHz Intel Core m5-6Y54 Dual-Core processor which allows you to run multiple applications simultaneously and also features a burst speed of up to 2.7 GHz. The 4GB of LPDDR3 RAM helps to ensure smooth multitasking and also allows the system to quickly access frequently-used files and programs. The 12" 10-point multi-touch IPS display features a Full HD+ 2160 x 1440 native resolution and a 3:2 aspect ratio. The integrated Intel HD 515 graphics delivers a sharp, clear picture, and you'll also be able to output video to an external display using the system's Micro HDMI-out port. For long-term storage of your files, the Miix 700 has a 128GB SSD. If you want to add external storage, optical drives, memory card readers, and more, the Miix 700 offers one USB 3.0 port and one USB 2.0 port. 802.11ac 2x2 Wi-Fi is also built-in for wireless networking, and Bluetooth 4.0 technology will also allow you to connect additional compatible peripherals. So that content from memory cards may be accessed, a built-in microSD card reader lets users download content from their digital camera. Other integrated features include front and rear 5MP cameras, a microphone, and a single stereo speaker. The Miix 700 operates using a battery that lasts for up to 9 hours before recharging is required. Included with this notebook is an AC adapter, and the installed operating system is Windows 10. If you own a Lenovo 2 in 1 laptops and have a user manual in electronic form, you can upload it to this website using the link on the right side of the screen. Box Dimensions (LxWxH) 12.4 x 9.6 x 3.3"
The user manual for the Lenovo 12" IdeaPad Miix 700 Multi-Touch Tablet 80QL0008US can be downloaded in .pdf format if it did not come with your new 2 in 1 laptops, although the seller is required to supply one. It is also quite common that customers throw out the user manual with the box, or put the CD away somewhere and then can’t find it. That’s why we and other Lenovo users keep a unique electronic library for Lenovo 2 in 1 laptopss, where you can use our link to download the user manual for the Lenovo 12" IdeaPad Miix 700 Multi-Touch Tablet 80QL0008US. 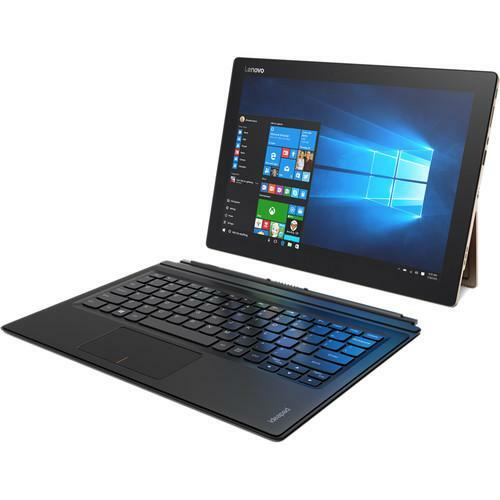 The user manual lists all of the functions of the Lenovo 12" IdeaPad Miix 700 Multi-Touch Tablet 80QL0008US, all the basic and advanced features and tells you how to use the 2 in 1 laptops. The manual also provides troubleshooting for common problems. Even greater detail is provided by the service manual, which is not typically shipped with the product, but which can often be downloaded from Lenovo service. If you want to help expand our database, you can upload a link to this website to download a user manual or service manual, ideally in .pdf format. These pages are created by you – users of the Lenovo 12" IdeaPad Miix 700 Multi-Touch Tablet 80QL0008US. User manuals are also available on the Lenovo website under Computers & Solutions - Laptops - 2 in 1 Laptops.